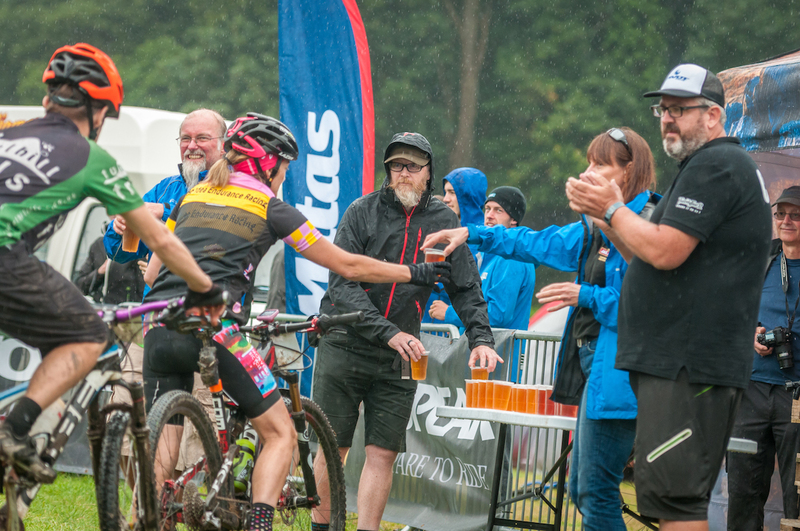 The Pivot Twentyfour12 is one of the most popular endurance events in the UK with the three-in-one race (a 24 hour and two 12 hours races) selling-out most years. Last year it hosted the National 24 hour Solo Champs too and we were there paddling in the mud and reporting live. This week there’s been some big news about the 2018 event. Martyn Salt, race organiser and founder alongside Keith Bontrager thirteen years ago, will be handing over the reins to Paul Davis and Matt Williams so he can continue to concentrate on events away from MTB. 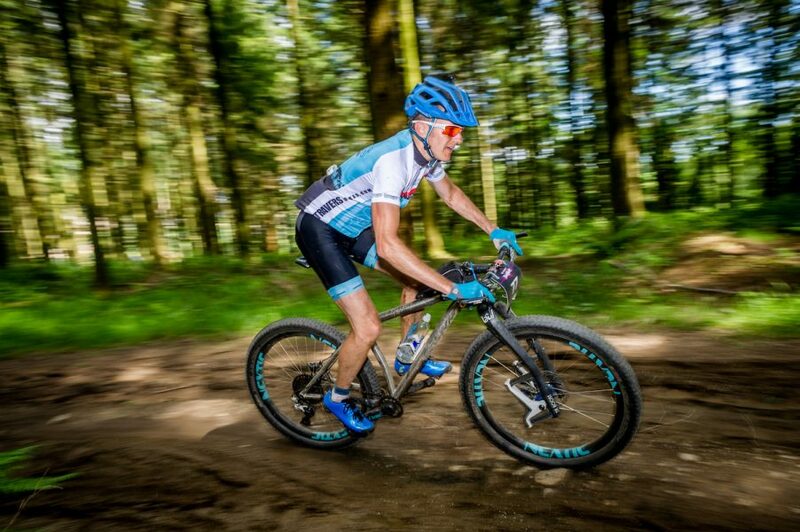 These are certainly safe hands for the event, Paul and Matt have a tonne of experience organising some biggest MTB races including the Rio Olympics and national 24 hour races. That’s Martyn, on the right, mid-applause. “After 12 years of preparing, organising and developing Twentyfour12 I have taken the decision to let my baby (now nearly a teenager) grow in someone elses [sic] hands. 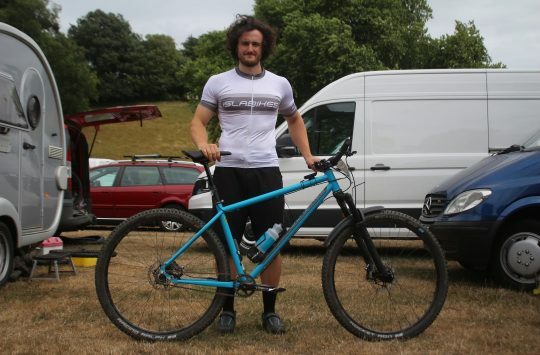 Over the last few years I have been increasingly working away and it looks likely work commitments will take me even further afield this year and I felt it was time that someone else could take the reins who would be more focussed on it and also be more connected to the Mountain Bike scene. 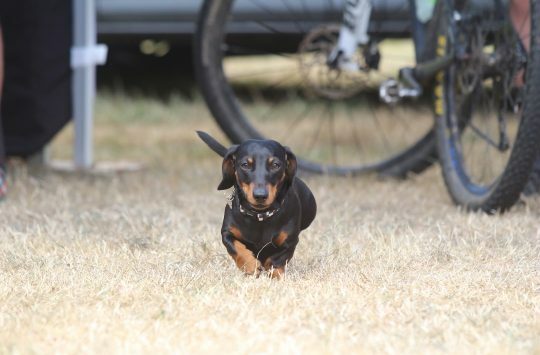 When I began the event in 2006 with the brilliant support of Brian Buckle and Keith Bontrager we had a vision to organise a fun bike weekend that people would want to return to – I think we did that. At that time I was organising many local races, the national XC series and was fully immersed in MTB organising. After the privilige [sic] of organising the Olympic MTB event in 2012 my organising career slowly took a different track and increasingly I have been organising sports events of varying types – but always returned to Twentyfour12. 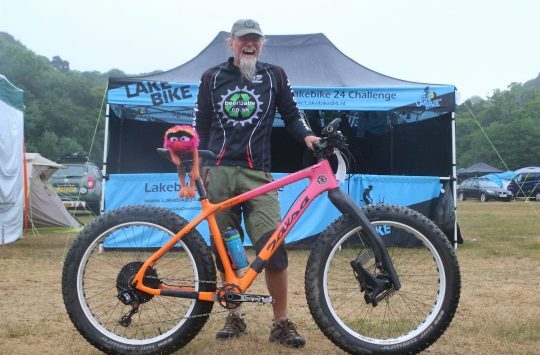 I have known Paul Davis for many years and along with Matt Williams I think they will be a perfect combination of committed event and bike lovers to take it forward. There are many people to thank and most of them have loved the event enough to continue staying involved into the next step of it’s[sic] future, it takes alot [sic] of people to organise an event and I have been lucky enough to have the long term recurring help of Brian, Helen and Griff from Trek, Keith Bontrager, Rory Hitchens from Pivot, Mark Swift from Exposure, Dave Smith from Clif bar, Chris Stuckey from Extra, Matt from Torq, Mike and Karen from Dartmoor Brewery, Roy and Judy McNeill, Liz from Revolution Sports Physio, Sean Curtin, Mark Dawes, Kacey Curtis, Rita on our Motivation Station (and shower cleaner extraordinaire), Matt and the guys from Timelaps, Rob & Jane Smith, Duncan and Julia Baldie, Matt Carr, the Salt family, the Cobbold family, the singers, the marshals,Lee Moor St Johns Ambulance, the sponsors and most of all you lovely riders for not only taking part but being great and honest advocates for the event and helping sustain it over some wet and horrible years! Newnham Park have [sic] agreed for the event to continue in the future and are brilliant hosts with an impeccable MTB pedigree. Thanks all – it’s been wet, muddy, dry & dusty but it’s never been dull. New organiser, same venue. Can we request more dapples please! The comments left after Martyn’s announcement reflect our experience of a brilliant race something which definitely can be put down to Martyn’s hard work over the years. A big thank you to Martyn for all the work he’s put into the race. We look forward to seeing what Paul and Matt bring to the event. Pivot Twentyfour12 is 26-29th July 2018 at Newnham Park, Plymouth. Entries are live already so grab yourself a place before they’ve all gone.